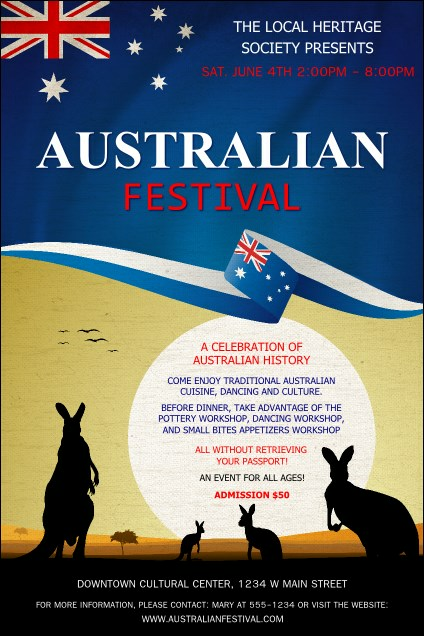 From the Gold Coast to the Outback, promote your Aussie celebration with the Australia Poster. Kangaroos stand in front of a big setting sun, with the gorgeous red, white, and blue flag above. Find coordinating tickets, flyers, and invitations in a Matching Event Kit. Find designs from around the globe at TicketPrinting.com.